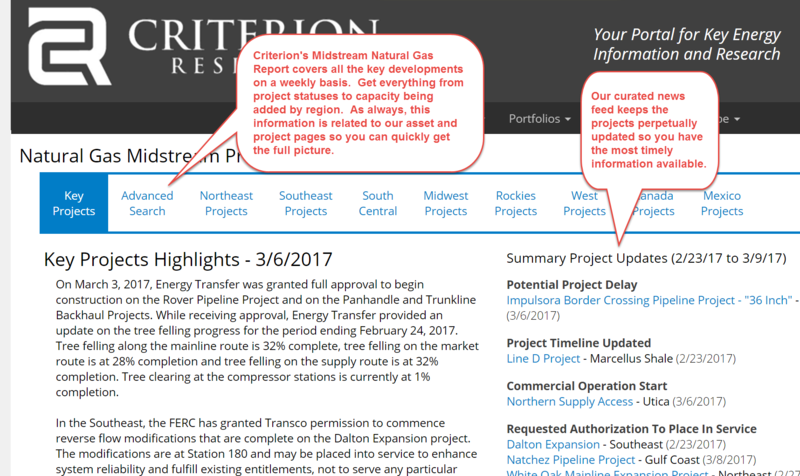 Every week, Criterion publishes a summary of all the key developments in the midstream natural gas markets. Stay on top of projects moving forward and those that could be delayed. Our curated news feed drives our reporting so you can get the right information you need for your business decisions.